Don’t Impeach! Plus appraising GOP proposed legislation—and why is he really in Saudi Arabia? I had prepped a missive appraising GOP legislative proposals… but it seems we must always lead with the latest, daily crises. With some Republicans already murmuring about impeachment and getting all moony-eyed toward the notion of “President Pence,” let me repeat what I’ve said for a year now. 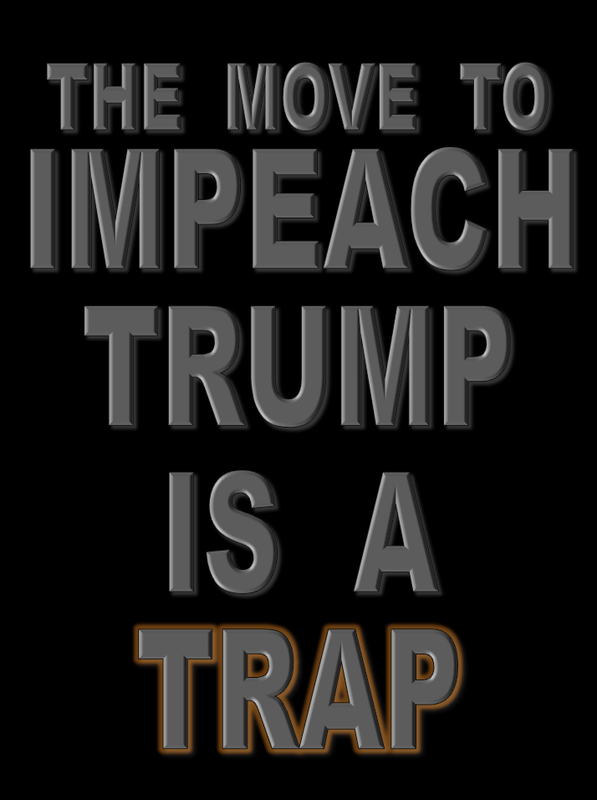 "Impeach Trump" is a trap. Any day, Paul Ryan will make his offer: "if you Democrats do the heavy lifting, we'll supply JUST enough GOP defectors to get a bill of impeachment passed, okay?" If the Dems stupidly agree, the GOP will grab a win-win-win. They will get rid of their Trumpian embarrassment, they'll get Pence (an eager Murdoch-lapdog, mixed with apocalyptic-dominionist toxins), who will then appoint Ryan VP. ...and all of Trump's supporters will be enraged into a war footing against Democrats, blaming liberals for Trump's fall. The disaster that is looming for the GOP, in 2018, will turn into their greatest victory. Oh, and the country will burn. 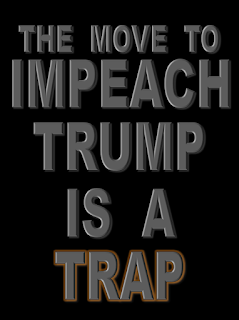 There are signs that Democratic leaders can see this trap looming and are downplaying impeachment talk. Especially since Donald Trump's recent shenanigans have somewhat neutralized his ability to do truly dangerous things. (See where I explain, at the end of this posting). Still, the warning cannot be repeated too often. Do act to secure the nation from catastrophe! But then exercise patience. This is their problem. Let them deal with it. More about how, at the end of this posting. "Abraham Lincoln was a classic Enlightenment man. President Trump is an anti-Enlightenment man. There's a long line of Enlightenment thought that included thinkers like John Locke and Immanuel Kant who argued that people should stop deferring blindly to authority for how to live. Instead, they should think things through from the ground up, respect facts and skeptically re-examine their own assumptions and convictions. "Enlightenment thinkers turned their skeptical ideas into skeptical institutions, notably the U.S. Constitution. America’s founders didn’t trust the people or themselves, so they built a system of rules, providing checks and balances to pit interest against interest." What does Brooks imply, but not mention - Republican that he is (was?) - is that of course the U.S. Founders dreaded feudal oligarchy - the great enemy of 6000 years -- far more than they feared the People. Indeed, the crime of "ostriches" like Brooks is that they neglect ever to pull their heads out far enough to boldly make that clear. Still, he is trying. Unlike the Worst Man in America, George F. Will. "De Tocqueville came along and said that if a rules-based democratic government was going to work anywhere it was going to be the United States. America became the test case for the entire Enlightenment project. With his distrust of mob rule and his reverence for law, Abraham Lincoln was a classic Enlightenment man. His success in the Civil War seemed to vindicate faith in democracy and the entire Enlightenment cause." Go read more. Oh, but the enemies of enlightenment have tools they are refining. I never thought I'd push this book repeatedly, but get Tears of Abraham, by Sean T. Smith... an especially disturbing novel about a new American hot Civil War. Why impeach, when we can prove the entire party is insane? I'll offer myimpeachment alternatives below. But surely you know the definition of insanity? Falling for the same alluring fallacy over and over again? In Republicans Keep Repeating the Same Tax Mistake, economist Megan McArdle, an avowed libertarian writing on Bloomberg – a financial/investment zine – reams the Supply Side mythology from just the simple aspect of demand elasticity, offering just one (of dozens) of reasons why it never worked. At all. Ever. Even once. There ought to be a door in the wall, right here. I'll just charge through... wham! Ow! It never worked. Once. Ever. Even a single time. Look at what's happened in Kansas. Look what's happened to America, following the Supply Side cult. And boy, have we reamed the middle class lured by this pied piper. This voodoo. We'll get back to my impeachment alternatives in a moment. But first. Here's what the bill H.R. 610 "Choices in Education" does. Initiates the school voucher system (ages 5 through 17). Begins the defunding process of public schools. Eliminates the Elementary and Education Act of 1965, the nation's educational law which also provides equal opportunity. Repeals ESSA*, the Every Students Succeeds Act, that covers programs for struggling learners, AP (Advanced Placement) classes, ESL (English as Second Language) classes, classes for Native Americans, Rural Education, Education for the Homeless, School Safety (Gun-Free schools), Monitoring and Compliance, and Federal Accountability Programs. Abolishes the Nutritional Act of 2012 (No Hungry Kids Act) which provides nutritional standards in school breakfast and lunch. "Trump is YOUR problem. Get the entire GOP House to vote impeachment and (maybe) we might provide a few votes." Better yet, face it - Trump is more an embarrassment than a deadly danger! Now, with the entire civil service, Intelligence Community and Officer Corps alerted to the craziness, he is in many ways already neutralized. This task of ensuring our safety can be completed, with carefully chosen measures that will not ruin the office of the presidency... just make it child proof. Instead of impeachment, Dems -- and a critical mass of sane Republicans (the few, the not-so-brave) -- should concentrate on a quartet of carefully crafted pieces of neutralizing legislation. Items so clearly in the national interest that McCain and Collins and a few dozen others would feel compelled to help them get passed, in lieu of the stupid trauma of impeachment. 1) Give the Joint Chiefs authority -- if unanimous -- to passively delay execution of presidential orders -- those commanding them to perform acts of violence or combat -- for up to a week, giving them time enough to put their misgivings before a select congressional committee. This will only diminish Commander-in-Chief authority in extremely dubious conditions. The entire nation will sleep better, yet future presidents won't be hobbled. 2) Put half of all presidential contingency and operating funds out of reach, unless the president agrees to give control over his appointments calendar, one afternoon a week, to the other party. I've proposed this before. All presidents should do this, but it is critically important right now, that the president meet and listen to eminent people beyond his current, paranoid seige-bubble. ... and did I remind you to say the words "President Pence" over and over again, letting your imagination go wild? That fellow actively prays for armageddon! He will fill the White house with dominionists (look it up) with potentially scary consequences far worse than anything Trump could or might do Please. Trump chose him as impeachment insurance and you had better believe he knew what he was doing. 3) Appropriate funding for a Fact Checking Institute. Bipartisan. You will get enough Republican defectors to pass this one thing. Do it. Do not shrug that one off! Stop. Close your eyes. Envision how everything today would be different, if there were a Snopes that Fox and Jones etc could not sneeringly dismiss as a liberal plot. Read about Russian-based waves of tuned social media meddling in the American psyche, and then offer us one other answer that will be one-tenth as effective as simply and finally having a place to point and say "that's not true." 4) Create an ad hoc bipartisan committee on appointments consisting of twenty House members from each party and ten Senators from each party. Call it the Alliance of Grownups. They will agree to caucus to vett presidential appointments so that competent, mature and moderate individuals will face likely confirmation -- with a grudging acceptance by the democrats that this president will appoint mostly conservatives. Work it out. Thirty sane republicans could do this, while 259 fume helplessly... then grudgingly go along. Wouldn't Trump simply veto such bills, while screaming "traitor" at the cabal of thirty Republican grownups? Not if those thirty -- and thirty Democrats -- promise to resist impeachment calls for at least a year! He would go for that. Do those four things, just those, in conjunction with McCain and a few Republican remnant sapients, and we would then be able to outlast the current occupant of the White House, letting him do his noble work of demolishing every last shred of credibility clutched by the Murdochian Confederacy. Leave him there! At least till November 2018. On behalf of Stephen Colbert I beg of you. Be patient. ** ADDENDUM: A Constitutional scholar weighs in with perspectives on why, if possible, we should approach any talk of impeachment with cautious and grownup deliberation. That is, unless there is a "Reichstag Fire." Lagniappe: I am registering here a prediction call... a 50% probability that Donald Trump will announce some kind of Israel-Saudi deal for those two 70-year enemies to move closer together: targeting Iran. The Trump White House overflows with men who have stated or implied an eagerness for war with Iran. Because every evil force on the planet wants it to happen. Not the educated citizens of Iran, who are struggling gradually to wrest power from the mullahs... but the mullahs certainly want such a war! They'd be safe from major damage, under the Russian nuclear umbrella, and a nasty little snit would help them crush democracy, at home. It serves Russian interests, since it would then drive Iran into Moscow's arms and destroy all chances of a Persian democratic renaissance. It will push Trump's political crises off the headlines and make him look 'strong.' And it serves the Saudis to a (dumb, shortsighted) T.
One question: would the Israelis foolishly fall for this trap? If they are offered a huge inducement? A Big Peace Deal with the Sunni Arab World? It could happen. Can we hope that Rouhani's landslide re-election in Iran might put the kibosh on these war drums? Oh, but then the connivers can always try a Tonkin Gulf or Gleiwitz Incident, alongside their terrorist Reichstag Fire.